Next week is Valentine's Day and between my 2 kids we need to around 70 Valentines. 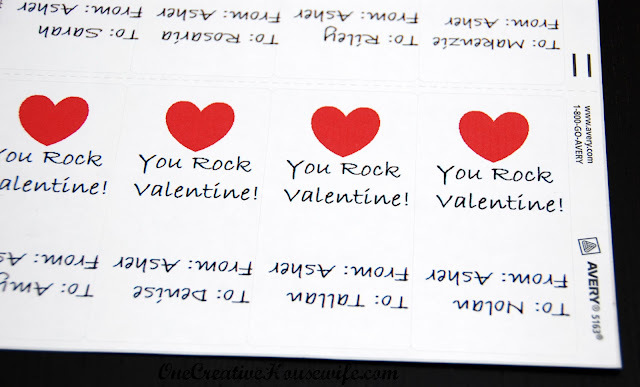 My son's birthday party also falls next week, so I when I was looking for a Valentine for my kids to hand out I wanted something quick and easy. 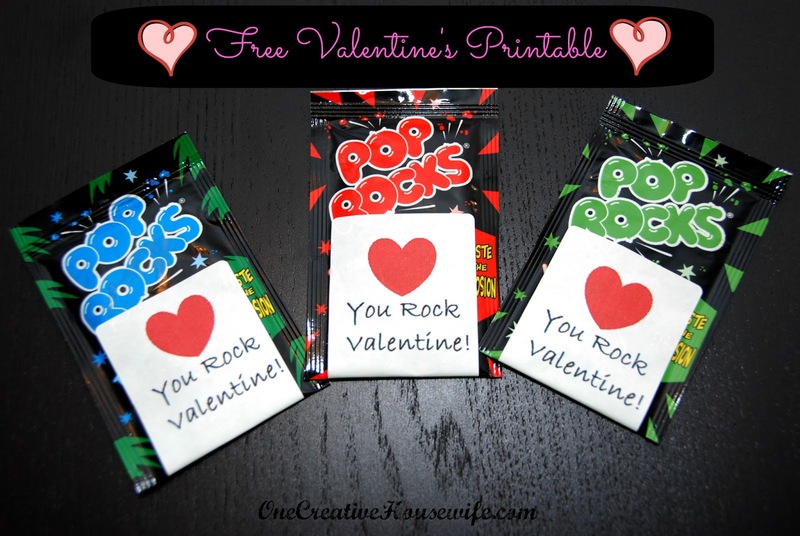 I bought the 3 packs of Pop Rocks at the Dollar Tree, and broke them up so each child would get one pack. Then I used the Paint program on my computer and created a quick design. I then applies it to the Avery template here, and printed it on Avery 2"x4" labels (#5163). 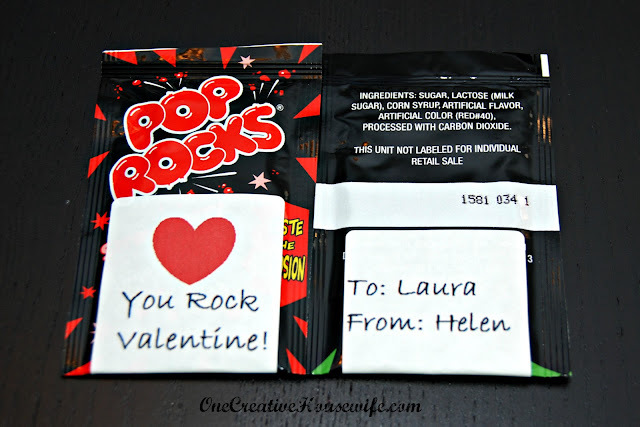 I attached them to the Pop Rocks so that the Valentine saying was on one side and the "To: From:" was on the other side.